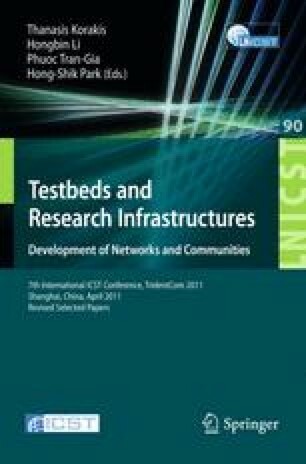 Whilst dealing with topics that are more and more influenced by physical properties of the underlying media, the networking community still lacks a culture of rigorous result verification. Indeed, as opposed to most of the science and engineering fields there are very few benchmarks to test protocols against. Furthermore, in most publications the authors do not give the community access to the raw results or details of the performed experimental procedures. Therefore it is impossible to accurately reproduce their experiments. We propose to solve this problem by extending the state of the art experiment tool OMF with a public portal. This portal, while providing the experimenter with access to experimental resources, also provides the community with a system for comprehensive experiment description and result verification. The collection of both the measurement set and the experiment’s description is done in a transparent manner for the experimenter, who can decide to publish them via the portal once the research is mature enough.